A comprehensive and in-depth book about the art of conducting. The result of integrating the knowledge learned from legendary teachers such as Laszlo Halasz, Igor Markevitch and Hans Svarowsky with reflections from Scarabino’s own conducting experience and a fruitful harvest of interchanges with his many students from different countries and cultural backgrounds. 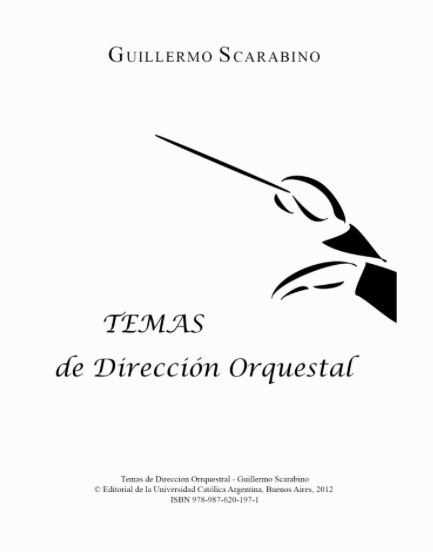 The full book is available as an ebook in Spanish, consisting of the parts "Teoria" and "Pratica". The first part"Teoria" was translated into English - Theory of Conducting – and delves into philosophical matters and basic concepts on musical analysis, meaning, communication, how to read a score in depth, techniques of rehearsing, body posture and gesture. 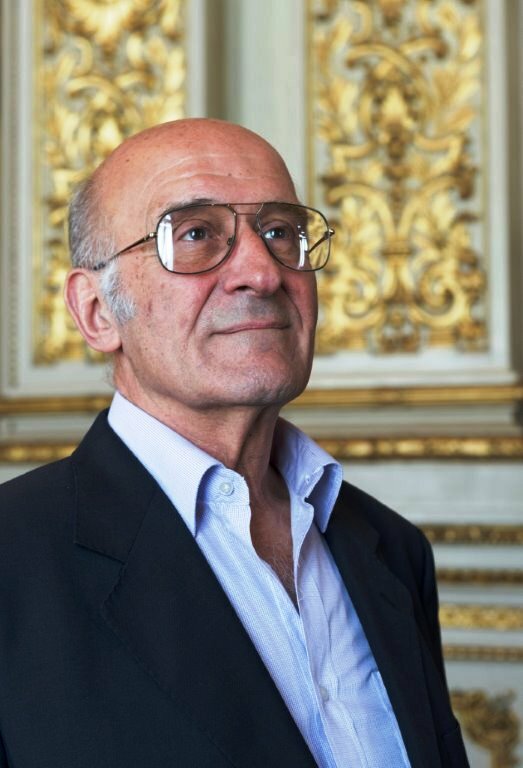 The second part "Pratica" – available in Spanish only - analyses and discusses several pieces and/or movements extracted from a wide repertoire ranging from Mozart to Stravinsky and Schönberg. In this second part, the emphasis is laid on specific matters of interpretation and conducting technique. Soon available in English. 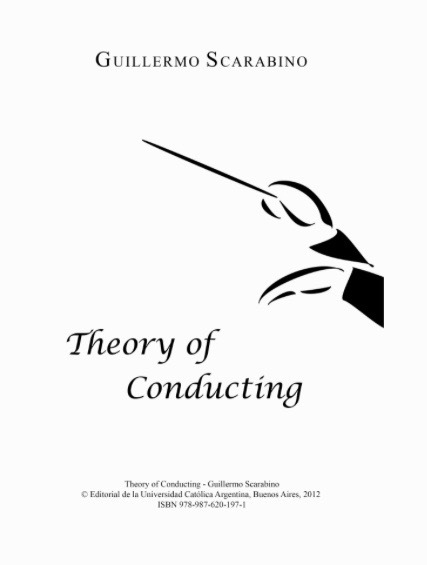 Get your membership (Free, Monthly or Yearly) and order the full Ebook in Spanish (792 pages $ 25), or the first part "Theory of Conducting" (367 pages, $ 15). Both available as Ebook and exclusively on iClassical Academy. Guillermo Scarabino was the Director of Artistic Production of the Teatro Colon Buenos Aires. He is a well-respected conductor and was Juror member at several editions of the International Alberto Ginastera Composition Competitions. Furthermore, he taught at the Mendoza Summer Conducting Courses, at the International Summer Academy of Concepción (Chile) and at Venezuela’s Inter-American Conducting Courses. He is also a lecturer and author. He graduated from the University of Rosario (Argentina), obtaining a Master of Arts Degree in Music Theory at the Eastman School of Music (Rochester, NY). Written for the cellist looking for an approach that demystifies cello playing, Cello, Bow and You is an innovative text in the field of string pedagogy written by a 40+ year veteran of the New York Philharmonic Orchestra and certified teacher of the Alexander Technique. Author Evangeline Benedetti has a unique voice and approach, and invites cellists of all levels to explore, make discoveries and organically internalize technique. Benedetti's approach compliments the work that students do with their teachers by encouraging them to be more aware of themselves and responsive to internal and external guidance. Cello, Bow and You allows students and professionals access to Benedetti's vast performance and teaching experience. She has pioneered an approach to playing that is a synthesis of the cellist's musical thought, the knowledge of the dynamic properties of the instrument and bow, and the ability to move effectively according to the mechanics of the human body. The synergy of these elements leads to physically healthy playing and frees players to be musically expressive. 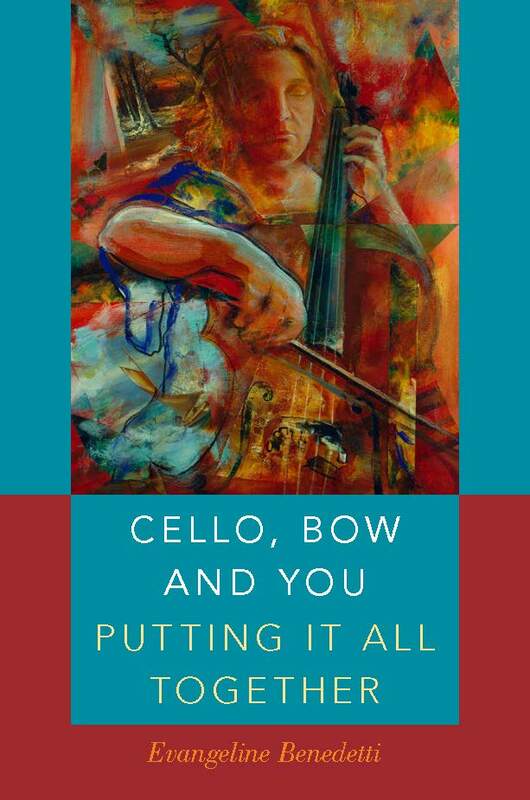 Written in engaging, informal prose, the book is a must-read for cellists and cello teachers - beginning, intermediate, or professional. 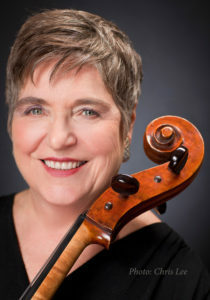 In 1967, Evangeline Benedetti was invited by Leonard Bernstein himself to become a member of the New York Philharmonic, the first female cellist and the second tenured woman. She remained an active and integral member for more than 40 years, during which time she played nearly 8,000 concerts and participated in countless recordings and television productions including the renowned Young People's Concerts conducted by Bernstein.